Improve your running performance with the Hurricane 16. This shoe offers you an efficient and cozy working solution. It’s a balance of fit, cushioning, and comfort. You will love the aesthetic look of this shoe. It comes in three color blends. So you have the option to choose your favorite color. Both men and women versions are lightweight. This brand is perfect for running and nature walking. Ideal for moderate and overpronators. Supports frame heel locking system. The upper part of this Hurricane 16 will offer you a cozy fit. The upper design of this shoe makes it appear in the ISO series. It features ISOFIT technology. The technology has the ISOFIT saddle and a stretchable mesh. The upper is strong to resist tear and wear. Also, the upper is breathable. It prevents your foot from sweating. There is an open toe box, so your toes will be cozy. High elastic sock liner offers a custom fit. A support frame completes the upper. The midsole has a better support platform. It will serve you if you are a moderate or an overpronator. It features PowerGrind cushioning for comfort. An SRC impact zone offers a soft heel to toe transformation. The medial post provides arch support that corrects pronation. Impact interface isolates impact. Also, it offers extra cushioning. Thus, these features offer you better performance. 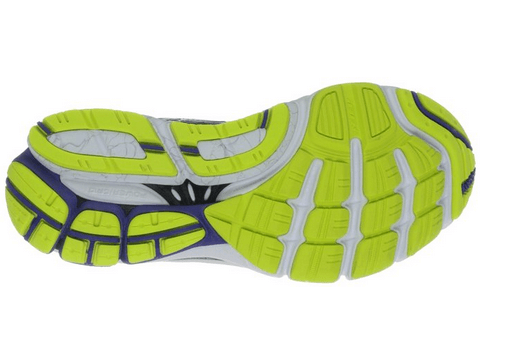 The outer sole offers flexibility and a balance of traction. It has a great tread pattern with a carbon rubber compound. The XT-900 in the heel area adds cushion. In the forefoot, there is IBR for comfort. All high impact areas have extra foam. It helps to protect your foot from injury. The manmade sole is free from wear and tear. It makes the shoe very durable and great for harsh trails. You can use this shoe for daily training since it is flexible. It has a high toe box for toe comfort. 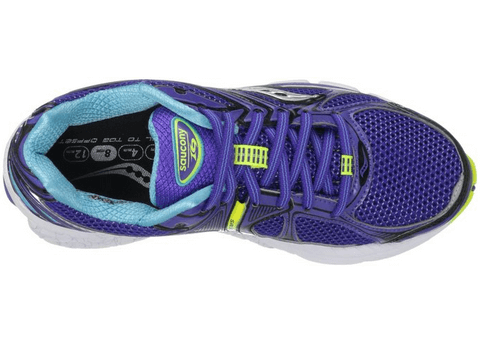 This shoe is a great option for high mileage running. The forefoot has a flexible fabric that suits your flat foot. This fabric enhances responsiveness. It also ensures underfoot comfort. With this shoe, you will have enough flexibility on the track. 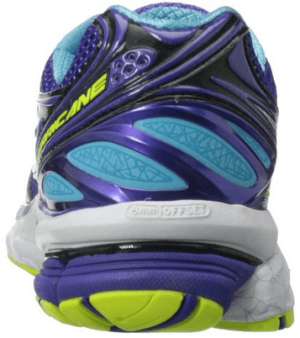 The Hurricane 16 is endurance racing shoe. It has extra foam that offers remarkable cushioning. You will appreciate the better arch support. These features aim at controlling pronation. The midsole has plenty of arch support. 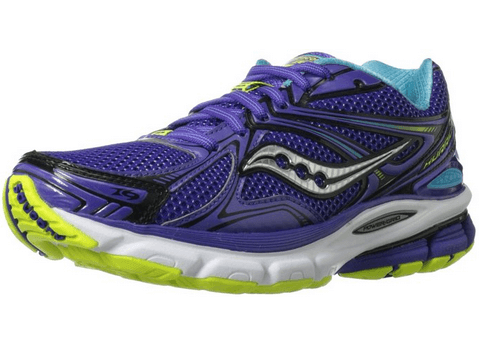 If you are a flat-footed runner, this shoe is a great choice. This shoe also a good choice for people with low arches. It offers specific support for a smooth ride. The men’s version weighs 300 grams. The women’s shoe weighs 247 grams. The heel area is lightweight to improve support. The men version has a heel height of about 34.6 mm. The heel height of the women shoe is 32.1 mm. Thus, this shoe is very light and offers great support. Q. I experience overpronation while running. Is this shoe good for me? A. Yes, it is perfect for moderate and overpronators. Q. Will my foot sweat in this shoe? A. No, it has a moisture-wicking collar lining. Q. Is this Hurricane 16 ideal for gravel grounds? A. Yes, it is ideal for track and gravel. 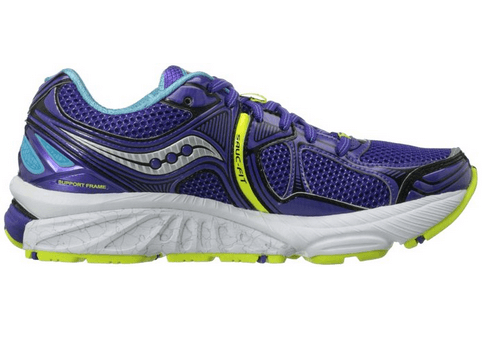 This shoe an upgrade of the Saucony Hurricane 15. It continues the legacy of the Saucony shoes. It is a great shoe for moderate and overpronators. Medial arch support makes it ideal for those with low arches. I hope the Saucony Hurricane 16 review was helpful. After reading it, you can choose it to correct pronation. You can use this shoe for long-distance running. Also, it is good for daily training. It has lightweight to improve stability. Upper mesh controls foot moisture to prevent sweat. It has a sturdy fabric that makes it long lasting. This shoe is an excellent purchase if you want pronation control. It also offers great arch support.